Support Georges Ibrahim Abdallah – 35 years is enough! Georges Ibrahim Abdallah is the longest-held political prisoner in Europe. This Lebanese struggler for the Palestinian cause has entered his 35th year of imprisonment in Lannemezan, France. We are mobilizing to demand his release! These evenings will focus on two subjects that Georges Abdallah consistently demands: Palestine and youth struggles. 7:30 pm: Projection of the documentary: “Truth Lost at Sea” on the Mavi Marmara attack by a survivor, Rifat Audeh. Rifat Audehh is a Palestinian filmmaker living in Jordan who has long campaigned for Palestinian rights. 8:30 pm: Discussion with Sarah Katz (French Jewish Union for Peace UJFP). Sarah Katz was a long-term international activist in Gaza. She arrived in April 2011 and was continuously present from September 2012 to April 2014. She is co-author of two books, “Chronicles of Gaza” (2016) and “People of Gaza” (2017). She participated in the 2018 Freedom Flotilla to break the siege on Gaza, invaded by Israeli forces in international waters on 19 July. 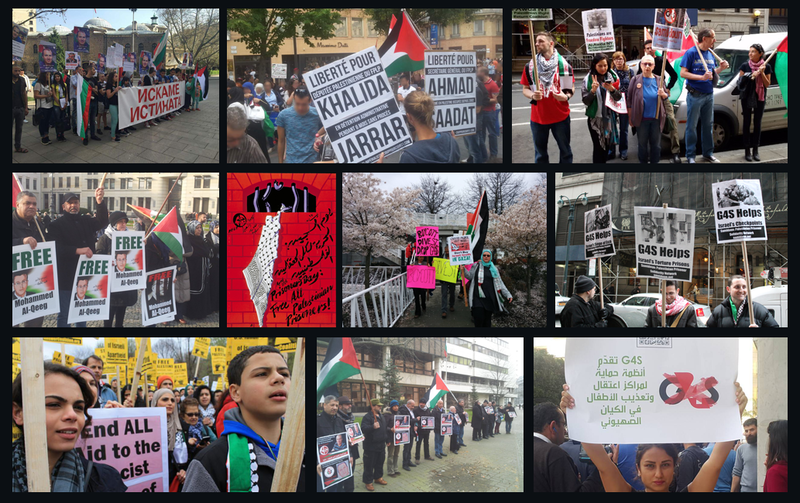 4:30 pm: Discussion – Youth and Imprisonment, from Gaza to Gradignan. Featuring Sarah Katz and Jean-Marc Rouillan. Jean-Marc Rouillan was incarcerated from 1987 to 2011 for his activities with the group Action Directe. 35 ANS ça suffit ! Georges Ibrahim Abdallah est le plus vieux prisonnier politique d’Europe. Ce militant libanais de la cause palestinienne est enfermé depuis 35 ans à Lannemezan en France. Nous nous mobilisons pour exiger sa libération ! Nous organisons ces soirées autour de deux sujets que Georges Ibrahim Abdallah porte et défend depuis toujours : La Palestine et la jeunesse. Dans ce cadre, Les Petits Tréteaux et Libérons Georges 33 invitent des intellectuels et des artistes concernés et impliqués pour la libération de Georges. 2018, partie pour briser le blocus de Gaza et arraisonnée en eaux internationales le 29 juillet.